Depending on what state you live/hunt in, there may be laws that help you with this decision. 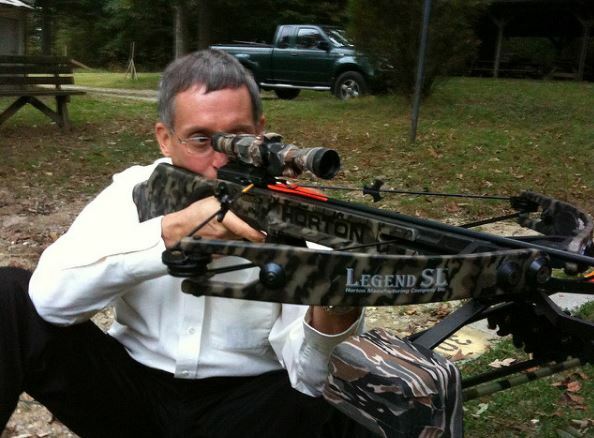 For example, up to only a few years ago, you could only use a crossbow during gun season in Indiana. Since a crossbow has a trigger, they were considered a firearm. Then the law was changed to you could only use a crossbow during the second half of the bow season. Today, you can now use crossbows during all seasons. Before deciding to move to a crossbow, you will want to make sure what the laws are in your own state. Per state rules as of February 26, 2018 are listed below. The below list is only intended as a quick first glance at if considering a crossbow may be worth the purchase. You should check your current state DNR site for full rules. COLORADO: Can use crossbows during gun season. Handicapped can use during bow season. KENTUCKY: During Modern Gun Season. 65 and older can use between first Saturday of September through the third Monday in January. Hunting with a crossbow is similar to hunting with a rifle but not the same. It is more challenging to hunt with a crossbow then a rifle but not a challenging as with a compound bow. A crossbow would be a good fit for someone that may not be up to pulling back 75+ pounds, someone who might be physically challenged, or someone that gets cold/stiff easy when sitting in a deer stand all day. I’m one of those people. It may also just be more convenient to use a crossbow if you have never used a compound before but want to tale advantage of bow season (in some states). I always say, the best hunting happens before the guns start going off. Compound bows are the most widely known bows used for deer hunting. They take a lot a lot of practice, patience and strength to use. Many people prefer compound bows for a couple of reasons. Firstly, people say that it about the hardest way to hunt today. So if your looking for accomplishment, this can go down as a pro. Compounds take a lot of skill to use. Think about how much work goes into using one. Some people want the challenge of using a compound bow, I know I love it. It takes a lot of practice shooting from different positions including different height levels. If you already bow hunt, I’m sure you know that. Shooting from an elevated position (tree stand) shoots different than making our shot at ground level. We have all had that miss from the tree because you over shot… If you are thinking about buying a compound bow, I suggest reading our article titled 3 Best Bang For Your Buck Compound Bows of 2018. Whichever choice you make, you will need to prepare and get to know your tools. Each requires you to set them up personalized to your style. You will want to practice as much as possible and shoot from as many angles/heights as possible. Sources: Images used under Creative Commons. Images have not been changed. Well, it’s the new year and the new 2018 compound bow models are being released to the general public. Every year, bow technology gets better and better allowing for lighter, quieter bows. The cost of compound bows have went up considerably over the past 10 years. They can run you well over $1000 today. Though they are worth it, many people can’t afford to put out that type of cash for a compound bow (including myself). Today, we are going to cover the best bang for your buck compound bows of 2018. We will cover the top bows of 2018 in another post soon. So without wasting any time, let’s get started. The PSE Stinger X is a good choice if you are looking to keep the price down but get a top quality compound bow at the same time. Coming from PSE, you can feel confident in the quality of a brand that has been around since the beginning. Made from machined aluminum, this bow is light and versatile with your needs. The riser has a 32.5 inch axle to axle length in conjunction with PSE’s pre-loaded quad-limb design signature X-Tech which does a great job of silencing the recoil while also working to eliminate the pesky cam lean. 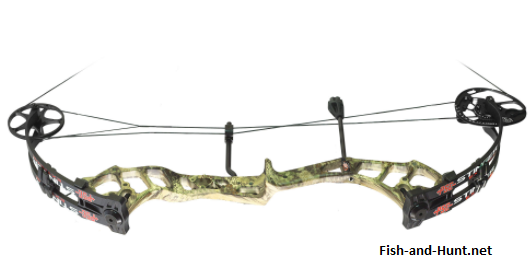 This bow comes with four different package options, in many different color options and two draw weight options. The PSE Stinger X may be the best compound bow for the money. If you have all the accessories getting the bow only is very cost efficient. The price can double if you want it field ready. The 2018 Bear Wild Compound Bow is the next one on our list. Bear is known to have compound bows in all price ranges. But the Bear Wild is no slacker. In fact, I would just about put it up there with the PSE. Being about $100 more expensive, the Bear Wild comes with some accessories that some others don’t. However, it does lack some of the customization that you can get from the PSE Stinger X. The Bear Wild compound bow is a good bow. The options are lacking but comes with everything needed besides arrows. This would be a good choice for someone who doesn’t want to spend a bunch of money and wants everything ready to go out of the box. You can’t go wrong with this choice. Diamond Infinite Edge Pro sports more of a traditional style compound bow look. Don’t let the look fool you. It is made of machined aluminum keeping the weight down but still giving it solid action. The 2018 Diamond Infinite Edge Pro has some pretty big redesigns from older models. The draw length has been extended, the cam system has been redesigned, added a solid back wall and added a stabilizer. Being priced just above the Bear Wild, the Diamond Infinite Edge Pro is worth every penny. It is a step up from the Bear and is versatile so it can grow with the hunter. The Diamond Infinite Edge Pro would be a great fit for someone small, a teenager that is still growing and smaller ladies that may need to drop the draw length/weight lower than usual. 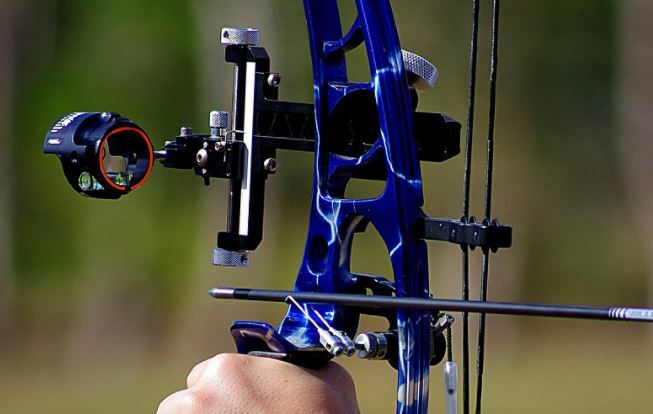 So, when looking at all of the compound bow choices out there, the most import things to consider are: arrow speed, axle-axle length, limb construction total weight and cam system. Most companies come up with their own cam systems. Just because they look aggressive doesn’t mean they are better. This affects arrow speed and smoothness which cuts down on recoil noise. By looking at all of the above factors, you will be able to find a list of the best compound bows you will love and that will last you years to come. With that being said, the above three bows are some of the best choices and gets our notation for best bang for your buck compound bows of 2018.